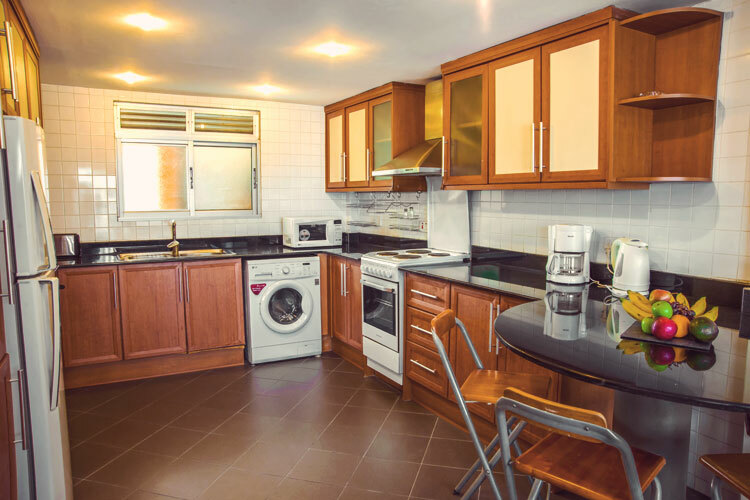 From 73 up to 114 square metres, the two bedroom apartments consist of a kitchen, living room, two bathrooms and two bedrooms, with modern European furnishings throughout. The two bedroom apartments are a stylish and spacious option for both a single resident or family. The kitchen, furnished with wooden cupboards and sleek black worktops, offers a complete range of modern facilities including electric oven and hob, cooking utensils and cutlery, microwave, toaster, kettle, coffee percolator, washing machine and steam iron with ironing board. The central living room is a relaxing, airy space with both dining and lounging areas. Its simple, modern design combines light wood and leather furnishings, while the large windows come with window sheers and curtains. A 34” TV and telephone are provided. There are two bedrooms and two bathrooms. 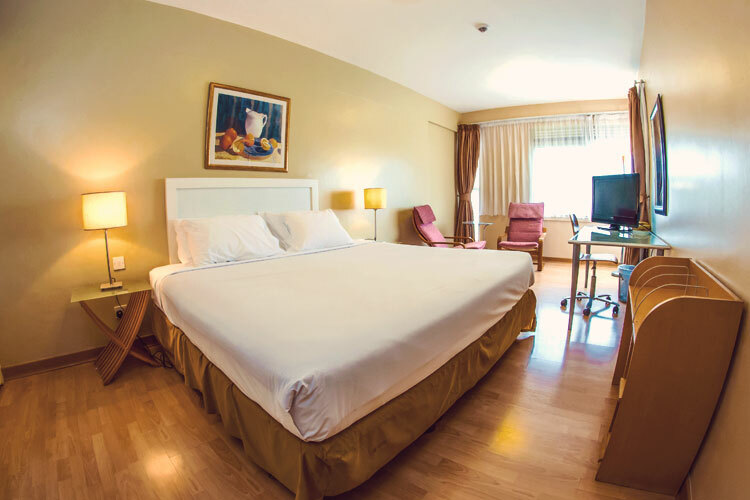 The bedrooms come with ample storage and desk areas. The bathrooms contain showers and baths and include large towels, hand towels and face towels (2 per bathroom) which are changed twice a week. Complimentary shampoo, conditioner and shower gel are provided on the day of arrival. There is adjustable air conditioning throughout and a safe for valuables.